You may have heard about how popular the past RootsTech conferences have been in Salt Lake City with over 22,500 total attendees in 2015. 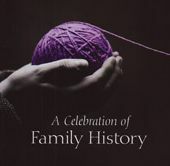 The Loveland Family History Center is pleased to announce the second annual Family Discovery Day with a one day FREE seminar for local genealogists and family historians on Saturday, April 25 at the Loveland Family History Center. 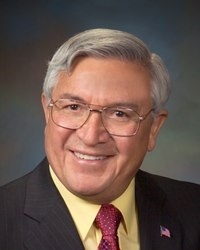 Loveland Mayor Cecil Gutierrez (pictured above) will be the keynote speaker promoting Family History Discovery Day. 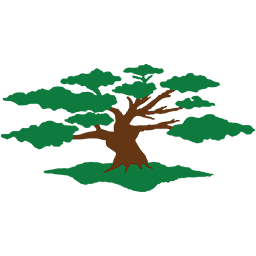 The seminar will include a combination of several video classes from the 2015 RootsTech conference and live class presentations by experienced speakers from the local genealogy community. Classes will include a combination of beginner and intermediate genealogy subjects. Each participant can attend the opening ceremony and up to four classes during the seminar! Some classes are repeated. You can register for the preferred classes. This year’s opening ceremony will be a fusion of multiple speakers with the best of what they had to say! Very moving and very exciting! A life changing experience from finding a lost relative to walking in his footsteps in Wales. An amazing family experience. From online subscriptions to the smallest accessories come explore thirty essential gadgets and gizmos genealogists should always have up their sleeve. You’ve learned the WHY of family history—now it’s time to learn HOW! Discover how to search original records to find family names and bring your ancestor back to the future. Bring one or two questions you are unable to answer in your family history experience. The questions can be on on-line tools, research issues and how to get answers, specifically from FamilySearch help resources. This class will give an update on the current status of FamilySearch Family Tree and it’s latest features. Additionally this session will discuss the new features planned for Family Tree. Come and help FamilySearch know what new features you want. Learn about the US census records. When it started and what questions are unique to each year it was enumerated. It’s a great place to start your research. Where to find the Census for free on the web and Census search tips for Ancestry.com. Passenger lists are some of the most sought-after records by genealogists; even non-genealogists are interested in finding out in which ships their ancestors “crossed the pond.” However, passenger lists can be very difficult to find due to name misspellings, poor handwriting and sloppy indexing. This presentation gives a brief history of what passenger lists can be found for what eras and details some techniques that help researchers find their passenger lists. It also gives some hints on going “beyond” passenger lists to add context to ancestors’ emigration stories in the form of newspaper articles, pictures and more. 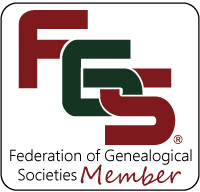 Participants will learn not only some of the most important online resources for genealogical research, but also how to organize these resources into an easy-to-access and portable virtual toolbox. It is all the rage, this DNA testing for genealogy. But what can it tell you? Even more importantly, what CAN’T it tell you? Learn the basics of DNA testing and, walk away with confidence in this area of research. Unsure where to look next after you’ve searched Ancestry.com and FamilySearch? This course will help you formulate a plan to dig deeper into online sources, including unindexed material, local and state archives, and less-frequently used portions of popular websites. Trying to attend all of the sessions that you are interested in at RootsTech is an imposible effort. With 334 sessions throughout numerous tract made it possible to visit just a fraction of the presentations. This year there were even fewer sessions recorded, so this class is an effort to introduce a few of the best we attended that did not get recorded, and show the handouts for these classes and others. Let’s face it! We all have brick walls in our genealogical research. Speaker Pat Johnson will share ways to tear down or at least to go around that brick wall that we all bump into during our research. This a colorful and entertaining Power Point presentation that will also include a very famous brick wall case and talk about how it was solved. Several video and local classes are repeated in this time slot. Are you getting the most out or your Ancestry membership? Learn how to navigate the site, build a tree, and search like a pro. This lab will require the participant to bring their own laptop or ipad (Windows 7.0 or later is best). Also, they must bring name-birthdate/deathdate-location of the earliest desceased ancestor(s). Basic internet browser skills will be covered. They will learn Sign-in, navigate and discover their own family tree, and find a new name not known on FamilySearch.com. (If time permits ancestry.com will also be used for research. This is a lively, personal and spiritual session that communicates the importance of following the three crutial steps of family history work: Find and qualify your ancesters bu adding them to Family Tree, see that their ordinances are done for them vicariously in the temples, and then help all others in the sphere of your influence. Several exhibitors including the Family History Center, Larimer County Genealogical Society and others will provide information on their organization. This seminar is FREE to all new and experienced genealogists interested in learning about their ancestry! Registration is required by selecting this link at Register Here!.